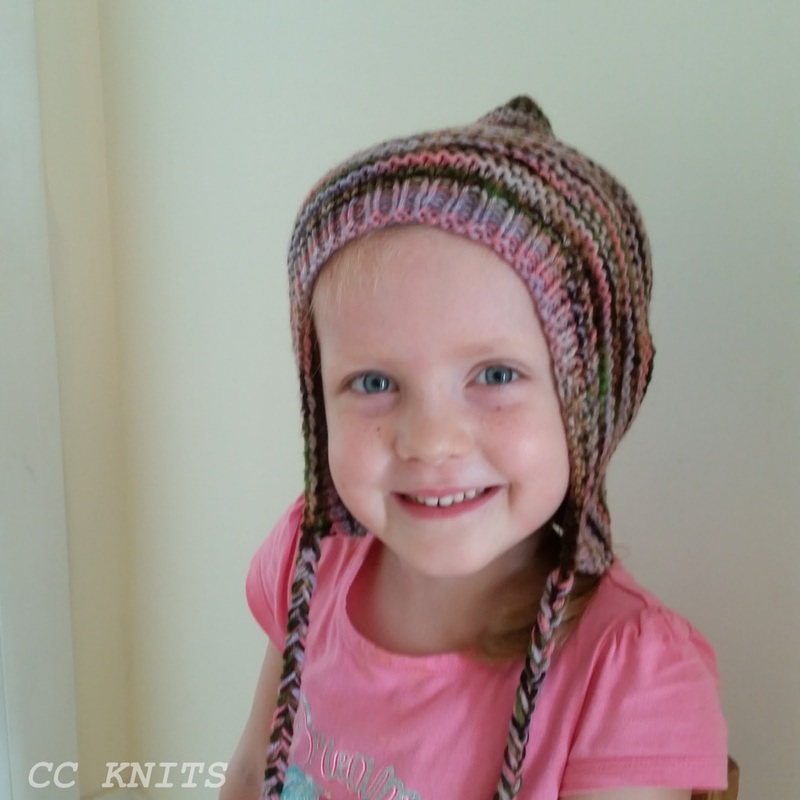 Here comes a free pattern for a one size fits most, quick to knit pixie hat. The idea for this pattern came from the testing of my Sporty Pixie Bonnet where one of my testers wanted to knit a larger size bonnet in thicker yarn for charity. I thought the idea was great so I made my own prototype. I would wear this myself and my daughters loves it! 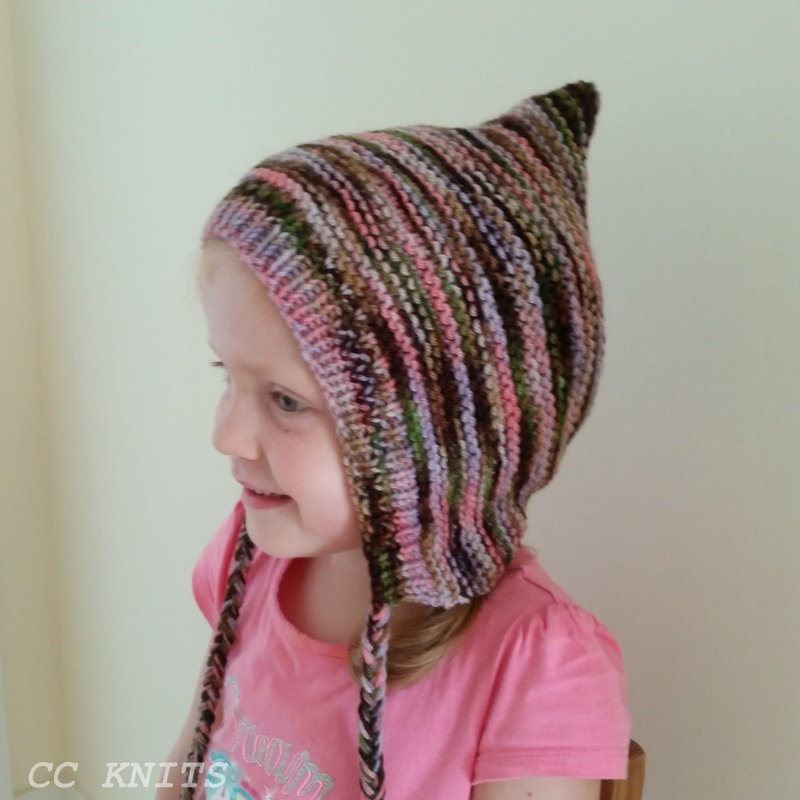 The hat is knitted flat from the brim to the crown and seamed at the back. 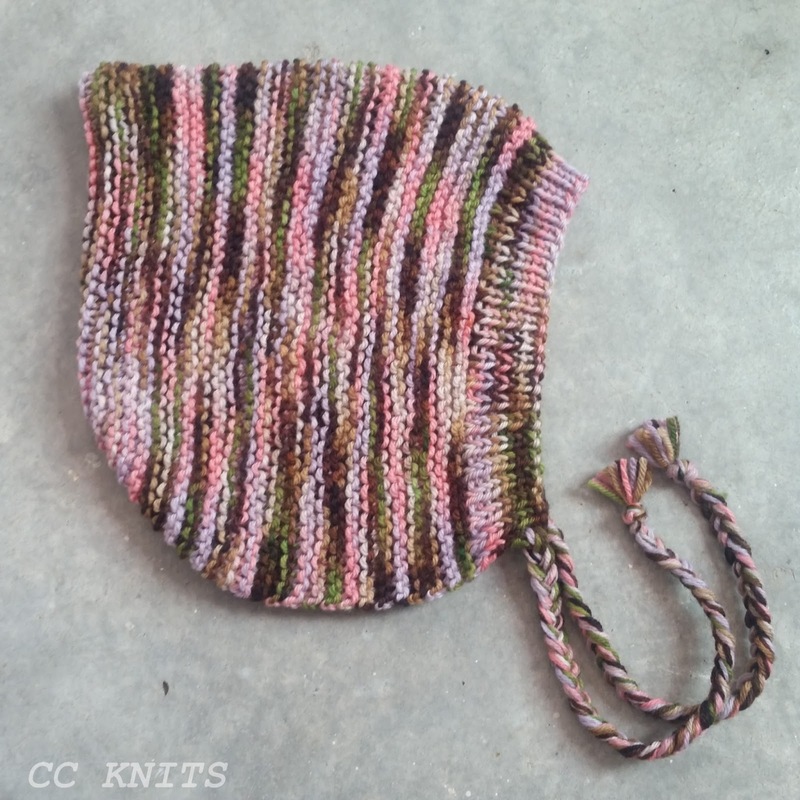 The brim is ribbed and the rest is in garter stitch. 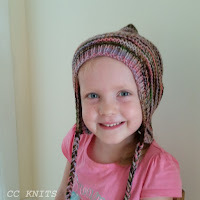 The garter stitch creates a very stretchy hat which means it will fit quite a span of head sizes. The prototype I made fits my 5 year old and it fits me too! One size fits most children to smallish adult. Height of the hat from the bottom to the top is 24 cm (9.5 in) and length from front to back is 21 cm (8.25 in). The circumference of the ribbed brim is 34 cm (13.5 in). 16 st and approximately 15-16 garter ridges per 10 cm (4 in) in unstretched garter stitch on larger needles. Yarn: 150 m (165 yards) of worsted weight yarn. Needles: 4 mm (US6) and 4.5 mm (US7) straight or circular needles plus extra 4.5 mm (US7) needle for 3-needle bind off. CO 81 sts with smaller needles. RS row: * k1, p1, repeat from * to last st, k1. WS row: * p1, k1, repeat from * to last st, p1. Repeate 3 more times for a total of 8 rows of ribbing. Change to larger needles and work in garter stitch, knitting every RS and WS row until piece measures 15 cm (6 in) from CO edge. Next RS row: k1, ssk, k to 3 last sts, k2tog, k1. Repeat the 2 rows above 5 more times (69 sts on the needles). Next RS row: k1, ssk, ssk, k to 5 last sts, k2tog, k2tog, k1. Repeat the 2 rows above 3 more times (53 sts on the needles). Decrease 1 st on the next WS row to end up with an even no of sts on the needles (52 sts on the needles). Fold hat in half with RS facing inwards, make sure you have the same no of sts for each half, i.e. 26 sts for each half. BO using 3-needle BO. 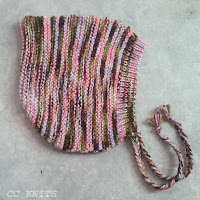 Alternatively, bind off with your preferred method and then seam it up instead of 3 needle BO. Seam the back of the hat from where you started the 3 needle BO and towards the front lower corners. Stop seaming just past where you started the decrease rows, leaving 14 cm (5.5 in) unseamed. Attach ties, approximately 25 cm (10 in) long, at the corners of the front edge. For my prototype I made braided “ties” that are more for decorative purposes rather than for tying. Weave in loose ends and block lightly. If you share your project on Instagram, do tag me @cechalden and #pixiehatforeveryone. I'd love to see your FOs! The pattern can also be found on Ravelry, please link to the pattern page if you have a Ravelry profile.